Summertime brings tons of opportunities to get outside and be active. Whether it’s summer sports leagues, pickup games at the park, or spontaneous games at a barbecue, there’s no shortage of ways to be active! And even though it’s great to be outdoors and active, it’s important to take safety precautions to make sure your summer is full of fun — and not injuries. Many people know to stretch or warm up before jumping into a game, but it’s easy to forget to protect your teeth! In fact, mouth injuries that require emergency dental services tend to spike in the summer months. 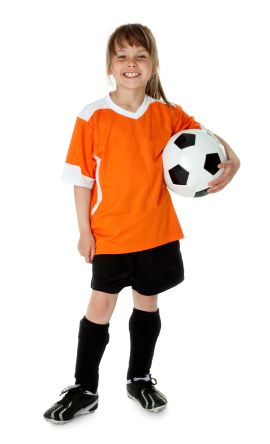 Up to 40% of dental injuries in older children or in adults happens while playing sports. To avoid painful mouth injuries and emergency dental treatments, it may be a good idea to get a mouth guard. There are several different types – from inexpensive stock mouth protectors, which are pre-formed, to boil and bite mouth guards which are softened with hot water then shaped to your teeth, to a truly custom-fit mouth guard designed by your dentist, there are many options to choose from. You should consider taking care of your teeth with a mouth guard especially if you participate in baseball, soccer, and softball. While you may not have a mouth guard on hand each time you play a pickup game of baseball at a park or playing soccer at a barbecue, doing what you can to be prepared will help you avoid a chipped tooth or worse. The family dentists at Dakota Dental can help you understand if getting a custom mouth guard is right for you. And incase something does happen and you need restorative dental work, the dentists at Dakota Dental are prepared to respond with emergency dental services as quickly as possible. Some simple precautions and dental awareness this summer can ensure that you stay smiling throughout the summer. Contact Dakota Dental today for more information.